When you first file a Social Security Disability Insurance (SSDI) claim, you will be filing that claim with the Social Security Administration (SSA) office located in downtown Boston, if you live in our area. This is actually the office for the Boston region that includes other states in the New England Area. We are fortunate to have a local office. This application will be submitted either on paper or electronically and will include a description of why you are disabled, when you became disabled, and it will be supported by medical records as well as an opinion letter from a treating physician. As our Boston Social Security Disability Insurance lawyers can explain, in the vast majority of cases, this application will be denied. You will receive a letter saying that your claim was denied because, after a review of your application and all supporting materials, the agency determined that you are capable of working and are therefore not disabled under the meaning defined in SSA regulations and the relevant sections of the United States Code. It should be noted that a doctor did not review your application or your own doctor’s notes at this point. The decision was likely made by one of many claims handlers that give the paperwork a cursory review before rejecting the application. Since this is not any type of procedural Due Process, you are entitled to ask for reconsideration. This is essentially an appeal, but it is not much of one. The reason we say it is not much one is because this request for reconsideration will not go before a doctor or review panel, either. It will be assigned to a co-worker of the original claims handler who does not necessarily have any supervisory authority over the initial claims handler. It might be someone in the same office, or even the next cubicle over, as we have discussed in other posts on this blog, or it may be someone that person doesn’t directly work with. The point is, it is very rare for an application to be approved at this time if it was not originally approved. At this point, you be given a period of time to file an appeal and request a hearing before an administrative law judge. One thing to keep in mind as a practical matter is that there is no real set time in which you will get an answer from SSA, and there is always a back log. They will simply send out the denial of request for reconsideration. While they are supposed to send that denial to your Boston disability attorney who has registered in the online system as your representative for this matter, they sometimes only send the letter of denial to you personally. You have 60 days to respond to this letter and request a hearing, plus five days to account for the time it took in the mail, but you should not wait. Make sure you call your attorney and let him or her know you received the letter, so that your will not miss the time you had to appeal. Even though SSA makes mistakes all the time, they are very quick to deny you any relief if you were even a day late in filing your appeal notice. Once they receive your appeal notice, they will process the request and place you on the list to get a hearing before an administrative law judge (ALJ). The ALJ will eventually hear your case, but it should be noted that this could take a very long time. One good thing is that if you are awarded disability, you can be awarded retroactive benefits dating back to the time when you first became disabled. This is the onset of disability date, as we discussed at the beginning of this posting. In a recent case from the U.S. Court of Appeals for the Ninth Circuit, the court reversed a denial of SSDI benefits, because the court concluded that ALJ did not properly weigh the opinion of the treating physician. In order to understand this, it is important to understand the different types of physicians who can testify during the hearing. The treating physician is, of course, the doctor who sees you and treats you for your injuries or illness. This is probably the same doctor who drafted a letter as to his opinion of whether you are disabled, but his or her reason for seeing you was to treat you and not to form an opinion as to whether or not you were disabled for the purpose of obtaining SSDI benefits. Prior to your hearing, a doctor who is hired by SSA will review your medical records and have you submit to a brief examination in many cases. It will be a quick and cursory investigation, but these examiners are generally looking for reasons you are not disabled, and are often known for having less than ideal bedside manner. At the hearing, this doctor will offer his or her opinion to the ALJ. Because this person has been qualified as a medical expert, he or she can give such opinions. The doctor may also be asked hypothetical questions by the ALJ about a person in a similar condition to claimant. In this case, the ALJ heard the testimony and reviewed the medical records and a made an ultimate determination that claimant was not in fact disabled. This was contrary to the opinion of the treating physician. There is a preference in favor of the treating physician and his or her opinion. This means that if SSA (and the ALJ) wants to find that there is no disability, he or she can do so, but this would require overriding the medical opinion of the treating physician. 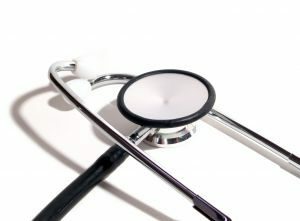 As held by the court, this requires substantial evidence as to why the treating physician’s opinion is not correct, and the decision to disregard the opinion must be clearly explained and reasoned in the written opinion. In this case, the court found ALJ did not meet this burden and reversed and remanded the case for further proceedings consistent with its opinion.